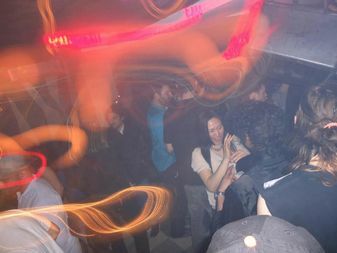 Bushwick's Bossa Nova owner John Barclay began an application for a liquor license at 198 Randolph St.
EAST WILLIAMSBURG — The owner of a steamy and stylish Bushwick nightclub on Myrtle Avenue is hoping to open a 1,300-person concert hall, nightclub and restaurant in Williamsburg's industrial zone. John Barclay, owner of Bossa Nova Civic Club at 1271 Myrtle Ave., began an application for a liquor license at a warehouse at 198 Randolph St. Wednesday night, joining a growing number of nightclubs and concert venues operators to set their sites on the heavy industrial area. Barclay offered few details about the forthcoming space, other than it would host ticketed concerts as well as have a general club atmosphere and be open until 6 a.m. on the weekends. "We are trying to follow every possible rule and we are very open to any input from the community board," said Barclay, following Wednesday night's meeting. He declined to elaborate more on the venue, saying he had just begun the permitting process. A sample menu for the restaurant submitted to the community board featured light and healthy snacks including kale chips, quinoa bowls and sunflower falafel and juices with ingredients like eucalyptus, grapefruit, ginger, ginseng, nettles and activated charcoal. The warehouse space at 198 Randolph St. was recently used by the Bushwick Collective as a gallery show during their annual spring block party blowout. Relations between big venue operators and Community Board 1 are still raw from a controversy that boiled over this summer when Brooklyn Mirage and CityFox operators tried to open a 6,000 person venue about a block away from the Randolph Street site. They were busted for not having a liquor license, then finally shut down by the city for a slew of safety violations in June. Community members have also expressed concerns about ensuring the safety of the increasing number of party-goers coming to the area, for fear they will get drunk and stumble through the industrial zone with unguarded train tracks that remains mostly desolate at night.